Tentative agreement reached in LA teachers strike | Fight Back! 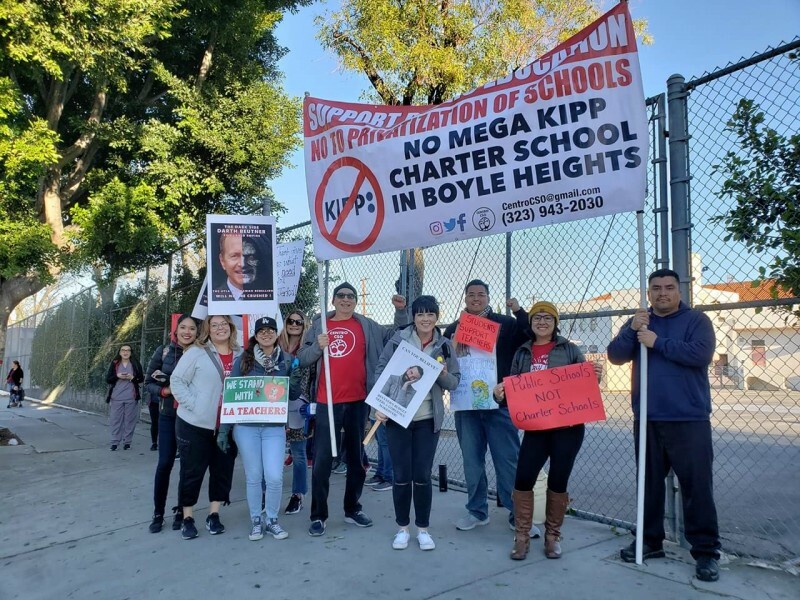 Los Angeles, CA - This morning, January 22, LA Mayor Garcetti, the Los Angeles Unified School District Superintendent (and former Wall Street banker) Austin Beutner, along with United Teachers of Los Angeles President Alex Caputo-Pearl announced a deal. On day six of the UTLA strike, LAUSD and UTLA came to a tentative agreement, which includes reducing class sizes, wage increases, hiring more support staff like librarians, psychologists and nurses, increasing spending on special education, putting a moratorium on charter schools, and investing more in community schools. 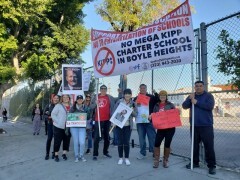 "Chapter chairs at 2 p.m. are meeting at Roosevelt High School to vote and bring back the information to all of our schools," says UTLA chair and teacher Carlos Cerdan. "We made history in the struggle for quality, public education," says longtime Chicano revolutionary Carlos Montes. "The Brown and Black community of Los Angeles overwhelmingly supported the teachers. We will continue fighting back with them every step of the way."